Slingbox users who install the latest desktop SlingPlayer are in for an unpleasant surprise, as the interface is now cluttered with banner ads. 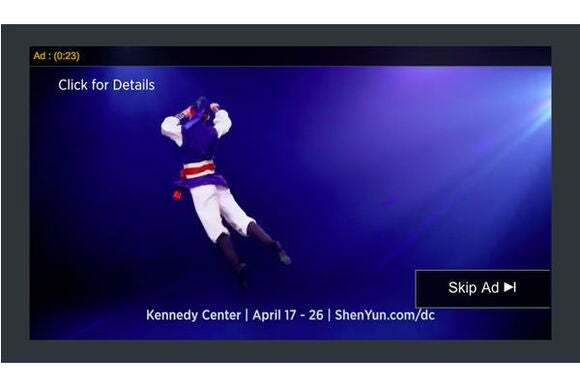 The banner ads appear just below the video playback controls in the desktop SlingPlayer, running the full width of the video window. Going to full screen does make the ads disappear, however Sling's browser plug-in is now showing pre-roll video ads according to Zatz. SlideToPlay Editor Jeff Scott also told Zatz that a banner for Slingbox services pops up for 10 seconds when using a Slingbox 500 for TV pass-through. For now, there's no sign of third-party advertisements through the television. Note that Slingbox has no direct relation with the new Sling TV streaming video service. The former is operated by Echostar, while the latter is operated by the Dish Network. Echostar spun off the Dish Network as a separate company in 2008, but licenses the Sling brand for the new video service. Sling TV has no additional ads beyond whatever appears on the channel you're watching. The story behind the story: Slingbox isn't as necessary as it used to be. The cable industry's TV Everywhere initiative has brought lots of on-demand shows and live channels to the Internet. Subscribers can now stream video to their phones, tablets, computers, and set-top boxes without the additional hardware costs of a Slingbox. This likely spells doom for Slingbox, though it's hard to muster much sympathy when the company is punishing its loyal users along the way.